This is the 2nd success bash as the film is performing extremely well at the box office. RSVP's URI is the first blockbuster of 2019. The film has seen a growing trend at the box office since the movie released. To celebrate the success of URI-The Surgical Strike and the makers threw a success party. This is the 2nd success bash as the film is performing extremely well at the box office. Present at the success bash were producer Ronnie Screwvala, director Aditya Dhar, Vicky Kaushal, Yami Gautam, Mohit Raina, Kirti Kulhari and others. Vicky Kaushal and Yami Gautam were all smiles for the camera. 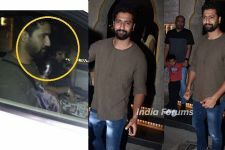 Mohit Raina, who made his Bollywood debut with URI was seen in a 'How's The Josh T-shirt'. Uri: The Surgical Strike has declared a war of its own at the box office. 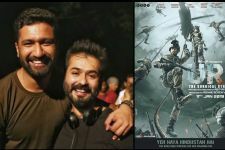 Based on the 2016 Uri attack, the film, which has already crossed the 100-crore mark, is marching towards the 200-crore target quite effortlessly. The movie has taken the box office by storm and set new benchmarks for other films. 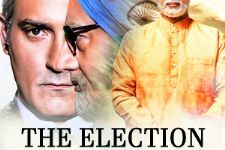 The movie is receiving immense appreciation from all quarters - from the Prime Minister of the country Narendra Modi, the men in the uniform, audiences and the members of Bollywood fraternity. congratulation for MOHIT RAINA and URI TEAM...Love MOHIT RAINA..